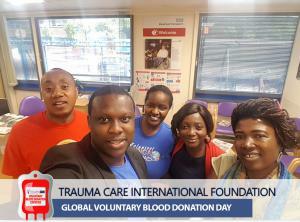 LONDON, LONDON, UK, July 9, 2018 /EINPresswire.com/ -- The first-ever global voluntary blood donation campaign at the Trauma Care International Foundation, founded by Pastor Chris Oyakhilome was marked as successful. 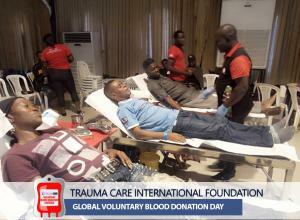 On the 30th of June 2018, within an 8-hour period, more than 4,000 voluntary blood donors registered and were recruited in multiple centers. It has been reported that no other organization has managed to achieve so many voluntary blood donor registrations for such short period of time. 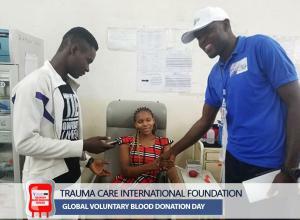 It has also been stated that thousands of people from more than 17 countries all around the world signed up at the maiden edition of the voluntary blood donation campaign, organized by Christ Embassy’s Pastor Chris Oyakhilome and the Trauma Care International Foundation. The campaign was held simultaneously between the hours of 10am to 6pm GMT + 1, with participation from centers across Africa, Asia, Europe, and North America. 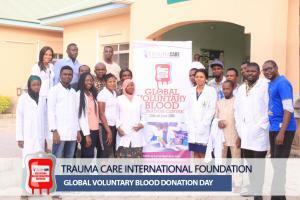 The participants came from various strata of society under the same goal – “to demonstrate their feelings of kindness and love for humanity through voluntary blood donation”. The campaign is commemorative of the annual World Blood Donor Day, marked every year on June 14th. 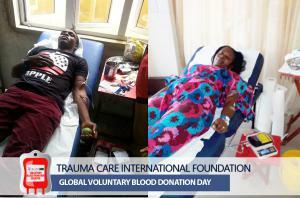 The Chris Oyakhilome Foundation is a major donor partner of Trauma Care International Foundation. The non-governmental agency aims at contributing meaningfully through programs and initiatives to the improvement of emergency responses in nations where there’s need but less help.